Justin Bieber is heading out on a huge tour in 2017 and will hit some major stadiums this time around. The first stop on this tour will be to the state of Texas. Culture Map in Dallas reported that the Justin Bieber Dallas concert will hit AT&T Stadium, the home of the Dallas Cowboys, on July 29, 2017. Tickets go on sale at AXS on Dec. 17 at 10 a.m. CST. This is still part of the long-running Purpose world tour and is the first stadium tour of his career. This is also the second stop in the DFW area for Justin Bieber on this tour. He previously played in Dallas at the American Airlines Center. That show in April saw Bieber donning a Tony Romo jersey and performing all his greatest hits for his legion of fans. It has been a huge year for Justin Bieber. Other than his long successful world tour, he also watched as his album Believe broke some records. Bieber had 17 songs on the Billboard Hot 100 at the same time, breaking a record previously held by The Beatles and Drake. This stadium tour sees Justin Bieber hitting seven stadiums for eight shows with the final performance coming at the Rose Bowl in California. 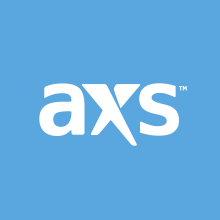 Tickets for the Justin Bieber Dallas concert go on sale on Dec. 17 through AXS. Prices for the concert at AT&T Stadium on July 29, 2017, start out at $49.50 for the upper level and top out at $179.50 for the pit.